The role of Chief Executive is a permanent appointment which requires the approval of Full Council, following the recommendation of a candidate for the role by the cross party Appointments Sub Committee. 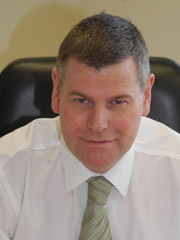 The current Chief Executive, Philip Simpkins, was appointed in June 2009. Philip is the Council’s principal policy advisor to its directly elected Mayor and 40 councillors. As the statutory Head of Paid Service he is accountable for a budget of £370 million and the work of approximately 2,500 employees who deliver a wide range of services to the community. He is ‘on call’, particularly to cover civil contingency and emergency management requirements. Philip is also the appointed Returning Officer for National and Local elections for which he receives the appropriate fees. Details of the Chief Executive’s pay are set out in the Council’s Pay Policy.